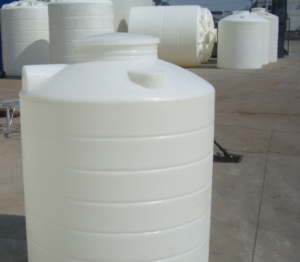 Professional Â plastic water tanksÂ is our strength, plastic containers is our business card! Company is located in Beijing Industry and Trade Park, the company invested more than 600 million yuan for the successful restructuring of modern management concept of the new plastic enterprises. The company now has a 0.5 m3-50m3 a molding tank production line a number of various special-shaped, large hollow rotomolding, rotating plastic products and a variety of supporting molds are the industry’s advanced technology, professional plastic water tanks for sale. 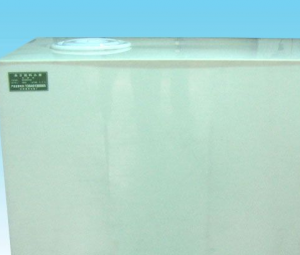 Our main products are: plastic water tank, PE tank, water tank, chemical tank, chemical tank, plastic water tower, turnover box, food grade wine tank, plastic barrel, Plastic tank, plastic tank, pickling tank, large vertical storage tank, plastic storage tank series, all kinds of special-shaped plastic, such as custom polyethylene storage tanks and related product. The company has R & D technology center, research and development capabilities and mold and plastic products production ranks among the forefront of the industry. Company plant construction area of ? ?8000 m2, with four large-scale production lines. It can be manufactured according to British Standard (BS), German Standard (DIN), Japanese Standard (JIS), American Standard (ASTM), French Standard (NF) and can be designed and manufactured according to different purposes. In the production and operation of the company in accordance with international standards established five S standard, and often clean (SEIKETSU), regular Fan (SEISO), often self-discipline (SHITSUKE), often finishing (SEIRI), often rectify (SEITON). Product quality Habitat leading domestic level, the output value of high-quality products accounted for more than 95% of the company’s total output value. Company products sell well all over the country and exported to the Middle East, Southeast Asian countries and the United States, Turkey, Australia, Suriname, such as more than 10 countries and regions. Langtai container development strategy: adhere to the brand as the guide to technology as the support, innovation as the driving force to track the national economic development of key industries and key projects, adhere to the “double high” (high end, high-end products) business strategy, Large container to build a clear strategic positioning, product structure optimization, rational allocation of resources, the management system to run efficient, continuous improvement of economic efficiency, significant growth in employee income, beautiful environment, harmonious relationship, with strong social influence of brand-name enterprises. Langtai containers adhere to the best quality polyethylene storage tanks, always ready and medicine food, electronic chemicals, textile printing and dyeing, traffic safety facilities, rivers and lakes waterways and other industry elite to join hands in creating a better future!